Can you use more than one device in your OBD-II port? Every car has an OBD-II port. Well, almost every car. There are a few electric cars that don’t, because they got a special allowance. But I guess that’s not the point. If you have a car with an OBD-II port, and almost everyone does, you may have realized it can do you some good. You can connect a heads-up display, use it to do your own diagnostics, use it for “On-Star” like services, or even use it to project the image from your screen somewhere onto the car so you can use Google Maps effectively. But each car has one and only one port. How can you use multiple OBD-II devices? The OBD-II port can’t be split or have a hub like USB. It’s just not designed for that sort of thing. The OBD-II system was originally designed for mechanics to connect to a car’s computer, and nothing else. For many years that’s all it did, until computer technology got cheap enough so that regular folks could use the port as well. If you want to connect that heads-up display, you’ll need to disconnect that GPS tracker that some other cell phone company suggested you use. Or, you’ll have to disconnect the dongle your insurance company put there claiming it would save you money. Bottom line you can only use one OBD-II device at the same time. There are some cables that claim to be OBD splitters. In fact we used to sell one at Solid Signal. The problem is they are not reliable and don’t always work the way you expect. It’s best not to seek out one of these splitter cables. Instead, just use one device at a time. Is it safe to connect and disconnect OBD-II devices? The connector is designed to be robust and work for the lifetime of the car. I wouldn’t suggest connecting and disconnecting something 20 times a day but I think that occasionally changing devices isn’t going to hurt it. In fact the biggest risk of damage isn’t to the car… it’s to you. Personally I’ve knocked my head on the steering wheel more than once connecting or disconnecting something to the OBD-II port. 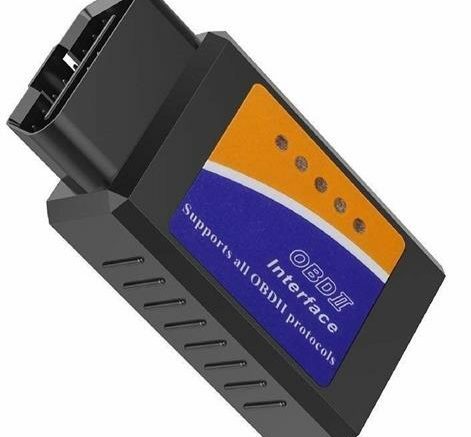 The OBD-II connector doesn’t carry enough power for it to hurt you. If you’re not afraid of the utility socket (“lighter socket”) in your car you shouldn’t be afraid of the OBD-II port. Will an OBD-II device harm my car? It’s practically impossible as I understand it. The OBD-II standard does allow for information to be sent back to the car. Your mechanic’s tools could let it run a lot of specific tests or even program features of the car like whether or not the lights stay on after the car is locked. However this usually requires special, expensive software from each manufacturer. You’re not going to be able to cause any sort of damage with the tools available at Solid Signal. Get OBD tools and toys at Solid Signal! Check out the growing selection of devices designed for your car’s OBD-II port now at SolidSignal.com. Why can’t you get your local channels when you travel?